Getting through a divorce can be extremely trying, even when both parties are doing their best to cooperate. In cases in which one party has a high-conflict personality, divorce can go from difficult to disaster rather quickly, as someone such as this tends to exhibit extreme behaviors, has lots of unmanaged emotions, and blames others for pretty much everything. Think of it as emotional terrorism. The combative person has probably been traumatizing his or her partner for years, and when the divorce heats up, he or she will turn on the charm, making the more reasonable spouse seem contentious, defensive, and difficult. And when children are involved and emotions are high, getting through this type of split requires more than just staying calm. It takes strategy. 1. Minimize contact. A high-conflict person is a bully and thrives on confrontation. He or she will twist what you say and use your words against you. The best strategy in dealing with this type of ex is to minimize contact as much as possible and keep things short and sweet. Eliminate face-to-face meetings when possible, and always communicate in writing, even when you think a quick phone call will suffice. It may seem like overkill, but if an issue arises, being able to pull up texts, e-mails, and letters in court is much easier than having a “he said, she said” moment. 2. Keep your feelings to yourself. It’s tempting to think that you can share your feelings with your ex and this person will see how much he or she is hurting you. But in a high-conflict divorce, what you say can and will be used against you. Your family, friends, attorney, and counselor are your support system; they’re there to listen to how you’re feeling. And although it’s important to keep yourself accountable for your role in the relationship, admit your mistakes in a safe environment. With your ex, it’s best to stick to the facts. 3. Forget coparenting. Coparenting, in the traditional sense, is not possible with a high-conflict ex. You want to do what’s best for your children, but you also need to protect yourself. Set firm boundaries; have a specific, written parenting plan to eliminate ambiguity; and don’t expect that things will go the way you want them to when the kids are with your ex. 4. Accept that it’s not about you. It may be hard not to take things personally, especially when your ex is calling you names and putting you through emotional hell. But, in reality, your ex is lashing out because he or she is feeling insecure and out of control, two things high-conflict people despise. Just remember, even when your ex’s behavior is at its worst, it’s still about your ex, not you. 5. Don’t be a passive participant. The family court system is bogged down, and most judges won’t have the kind of time needed to accurately assess your complicated situation. You’ll need to do the work of bringing things out for the court to see and consider. Being a “nice guy” or trying to save your high-conflict ex from himself or herself won’t get you what you need in the divorce. 6. Respond, don’t react. Outside legitimate emergencies, give yourself time to respond to your ex’s issues and demands without reacting emotionally. Especially if you have kids together, the two of you will be interacting for a long time, so establish your boundaries up front and give yourself the distance you need to keep yourself healthy. 7. Stay consistent. Dealing with a high-conflict spouse can be like dealing with an unruly child. Consistency is key to navigating the minefields ahead. Being consistent means sticking to the established schedules and routines. It does not mean being inflexible; it simply means maintaining the health and well-being of yourself and your entire family by insisting that boundaries are respected. 8. Be prepared for the worst. It may be relieving to think that the worst is over, but when dealing with a high-conflict personality, this is usually not the case. Even when things seem to be settling down, you need to remain vigilant. Document everything. Keep your communications factual and on point. Celebrate your victories, but don’t let down your guard. 9. Be realistic. Don’t set unrealistic expectations. Your situation will not be resolved overnight. But keep track of the things that matter most: you, your children, and your family. Don’t take the bait, no matter how nasty your ex behaves. Document, document, document. Keep your emotions in check. And seek the help you need to move on. 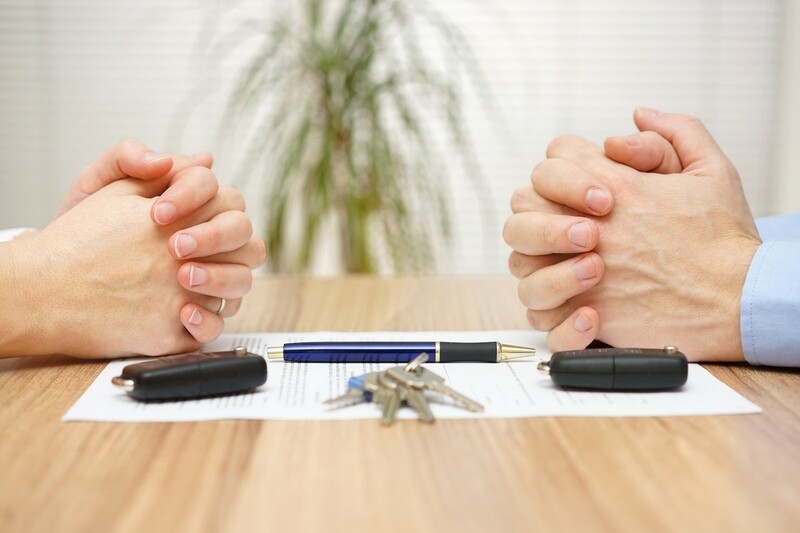 Getting through a high-conflict divorce requires strategic thinking and perseverance, but with the right amount of planning and emotional preparation, it is certainly possible.